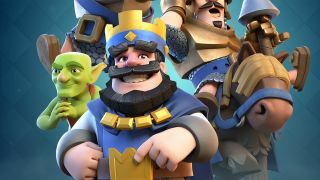 Clash Royale has grown in popularity since it was originally released in 2016 because of its unique blend of genres. Part collectible card game (or CCG) and part Tower Defense, it appeals to both people who like games like Clash of Clans and those who just can’t get enough of games like Hearthstone. Because of its success, there have been numerous copycat games looking to cash in, but the majority are fairly uninspiring. There are however, some imitators who have not only successfully aped Clash Royale’s gameplay tropes, but also added new elements on their own. Here’s our pick of the ten games like Clash Royale you should be playing right now. The title of Cards and Castle is almost a literal translation of everything you do in Clash Royale, and this game really uses that to its advantage. Like Clash Royale, Cards and Castles combines a MOBA with a trading card game, with visuals that wouldn’t be out of place in something like Castle Crashers. You’ll be able to use multi-faction combo decks across five unique factions in this game, making it a little more complicated - at least at first - than Clash Royale, but otherwise it’s very much Clash Royale in a different skin. We challenge you to find another game that lets you recruit characters like Ironman, Hulk and Thor (albeit fairly unofficial versions) to defeat zombies like X-War: Clash of Zombies does. It can’t be done. Because of its vast array of characters, you’ll quickly find that there’s plenty of different types of combat on offer, all requiring you to master a swathe of abilities and techniques to succeed. It sits somewhere between Clash of Clans and Clash Royale in terms of gameplay too, meaning if you’re looking for something a little different, offering more in-depth combat, then X-War: Clash of Zombies is a great choice. The instant appeal of Battle Command is that its set in the future, which makes for a rather interesting change of pace to other games on this list. It’s your goal to turn a run-down base into a formidable military fort, and then from there it’s just the little task of taking over the world. Robots and lasers are aplenty here, which is a welcome change from all those swords. We particularly love the War Games mode, as it gives you ample opportunity to test strategies without risking losing all your precious materials and your fighting force. Pocket Fort feels like the Clash Royale for beginners. It very much apes the gameplay and tactics of Clash Royale, but is aimed squarely at younger players in terms of complexity. The pirate theme gives it a bit of an identity in this sea of Clash Royale clones, even if it does feel at times like Pocket Fort has literally pilfered the majority of its good ideas from its source material. You can’t (usually) go wrong with a Star Wars tie-in, and that’s particularly true when it comes to Star Wars: Force Collection. Not only does this let you collect the cards for all your favourite Star Wars characters, letting you feel like a big kid all over again, you can also then use those cards in a trading card battle system to conquer galaxies near and far. You have to collect items, trade cards and level up to be totally victorious of course - whether you’re fighting the Rebel fight or have fallen onto the Dark Side. It has some lovely clean visuals that sometimes bely the complexity of its actual gameplay too. Spellbinders is basically a slimmed down version of Clash Royale, because it removes all need to collect and manage decks of cards. Instead, you’re tasked with destroying your opponent’s base before they can destroy yours, with the traditional Clash Royale battlefield turned on its side so you’re looking at a base on the left and right of the screen. You’ve still got mana and spells, which combo up to some advanced strategic moves once you’ve got a handle on things. The rounds are quick, the visuals are colourful and enticing and if you’re bored of card collecting, Spellbinders is a great alternative. One of the things that games in this list lack is a storyline, but Deck Heroes: Legacy has swooped in to fill that gap. You’re trying to build a kingdom, but it’s constantly being attacked by various opponents, and to protect it you’re going to have to enlist the help of unique heroes and mighty creatures. Thanks to the high-quality graphics and animations, it all makes Deck Heroes: Legacy rather impressive, visually. The more you play, the more cards you’re rewarded with, giving you more and more opportunities to control deadly, and awesome, characters. If you’ve watched Adventure Time, you’ll know that Card Wars is an actual game they play in the series, and the fact Cartoon Network has brought it to life on mobile will be a major boon for fans. This is actually the second iteration of the in-show game, but the original Card Wars isn’t a patch on the sequel, mostly due to the heavy lean on premium items. Card Wars Kingdom instead focuses 99% on the freemium elements of the gameplay, with a bright and breezy tone full of Adventure Time jokes and quips. It’s not the deepest strategy game on this list, but it’s perfect for short battling bouts and the cartoon brightness is bound to keep you coming back. What’s great about Hero Academy 2 is that although the gameplay is definitely reminiscent of Clash Royale, its strategy deepens and gets more difficult the more you play. Don’t be fooled by the tutorials, which really do hold your hand, because once they let go you’ve still got so much to learn about how to play Hero Academy 2. There are three solo gameplay modes that you can use to improve your skills, but when you’re ready you can get involved in PvP duels, that let you battle online players in real time. There are several deck types to build, a variety of spells, equipment, structures and troops to discover and master, and not to mention it features some rather awesome character animations. It’s perfect for those of you who aren’t good at keeping up with the constant Hearthstone changes, but still want the challenge. Very much tapping into the MOBA part of Clash Royale is Vainglory, which prides itself on being the best MOBA for touchscreen devices, and it’s definitely up there. Instead of being 1v1 like all the rest of these Clash Royale clones, Vainglory pairs you up with two other fighters in an attempt to take down an enemy’s base and the lanes between you and it. You play as a hero too, like you would in Overwatch or other traditional MOBAs. It doesn't have Clash Royale’s cards though, but that also means in-app purchases are few and far between. It’s also best played on a tablet, rather than the more squished screen of your phone, making it perfectly complementary to your Clash Royale addiction. Of course, if you want a game that very much focuses on card battling, you should absolutely try out Hearthstone. Made by Blizzard Entertainment, it’s the epitome of card battlers, with its high quality graphics, ever expanding universe and brilliant animations. It lacks the MOBA component of Clash Royale as it’s a strict card battler, where you must use your carefully crafted deck to outmanoeuvre your opponent, all the while casting spells with your other hand. If card battling is what you want then this isn’t one to miss.